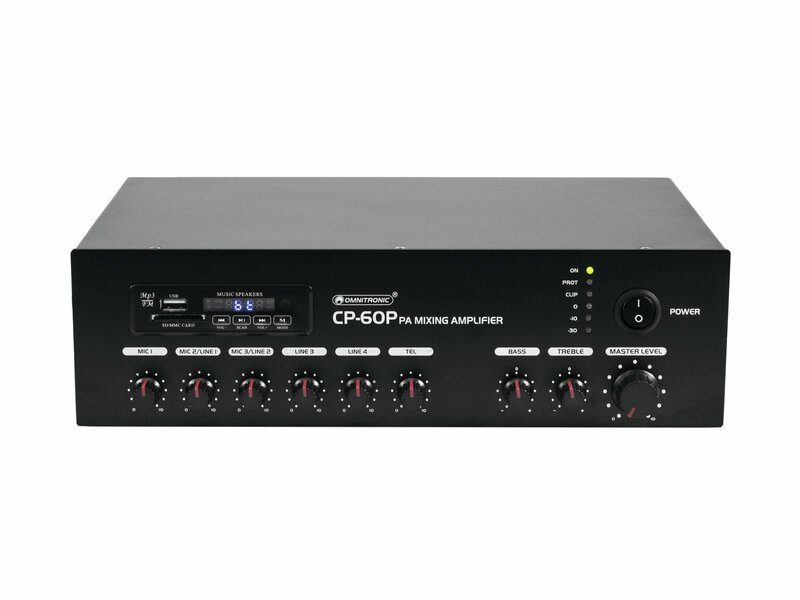 The PA mono mixing amplifiers of the CP series have been specially designed for the use in 100 V PA systems. 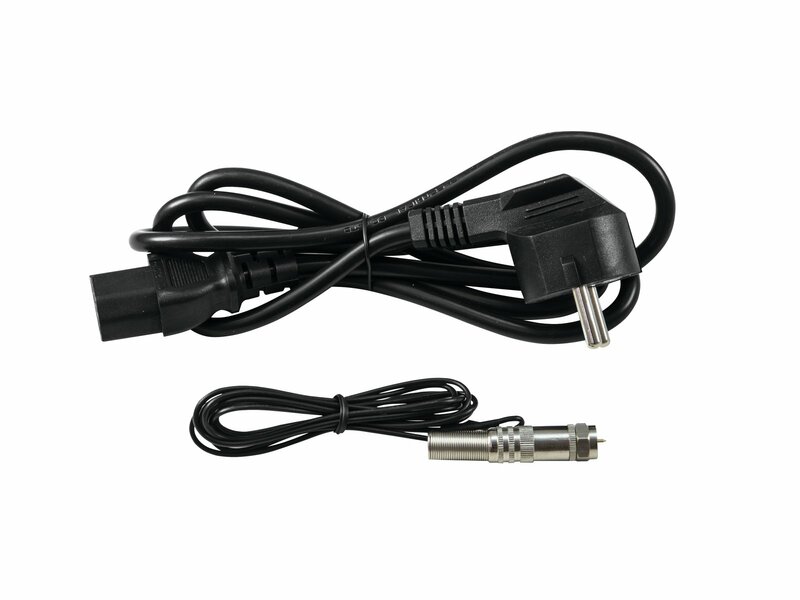 They supply an output power of 30, 60 or 120 watts. 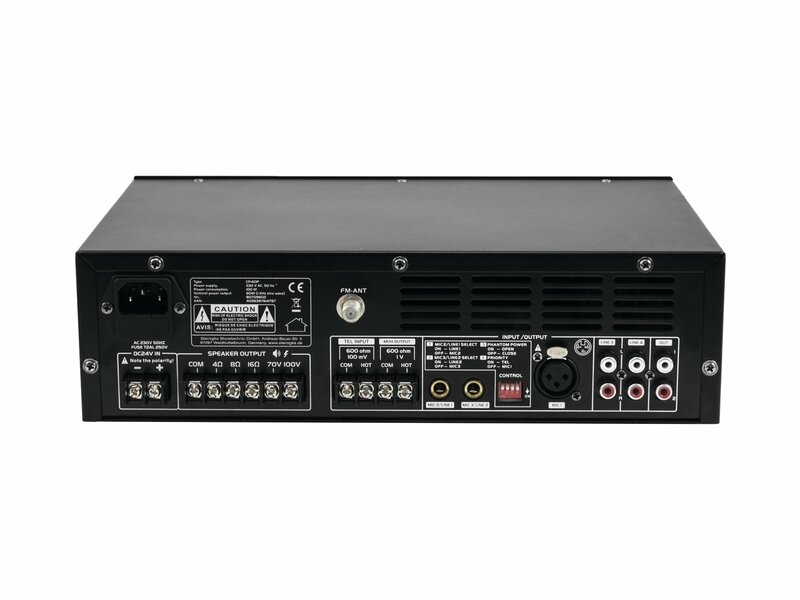 PA speakers with 70 V and 100 V audio transformers or low-impedance speakers can be connected. 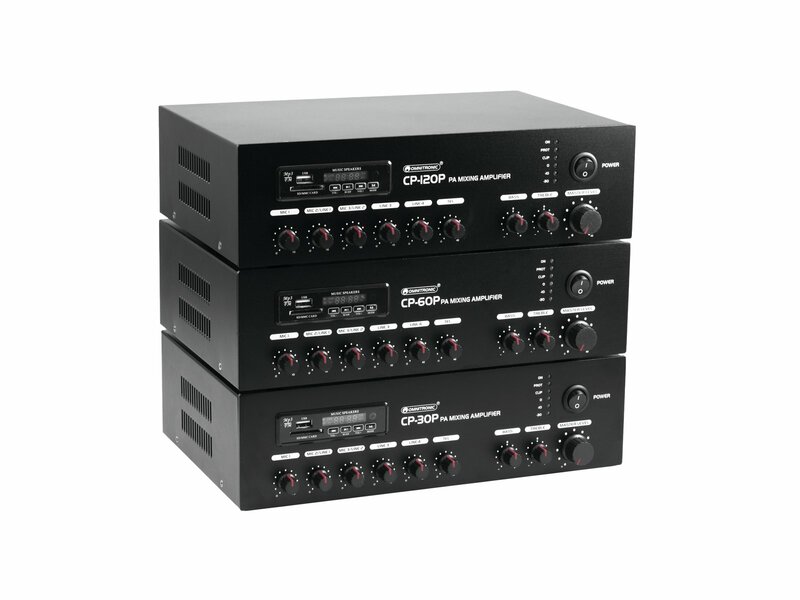 It is possible to connect microphones and units with line level to the six inputs which can be mixed with each other. Microphone channel 1 is equipped with a priority function which reduces the volume of the other signal sources in case of an announcement. Additional input and output terminals connect a telephone system allowing you to make important announcements and to play music for people waiting to be answered. 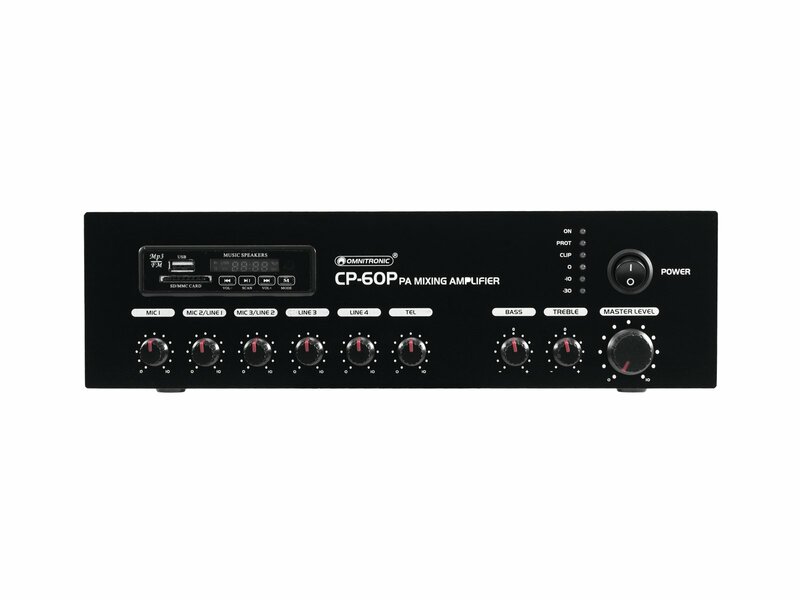 The PA amplifiers are equipped with an audio player with Bluetooth receiver, USB port, SD card slot, and FM tuner with auto scan. 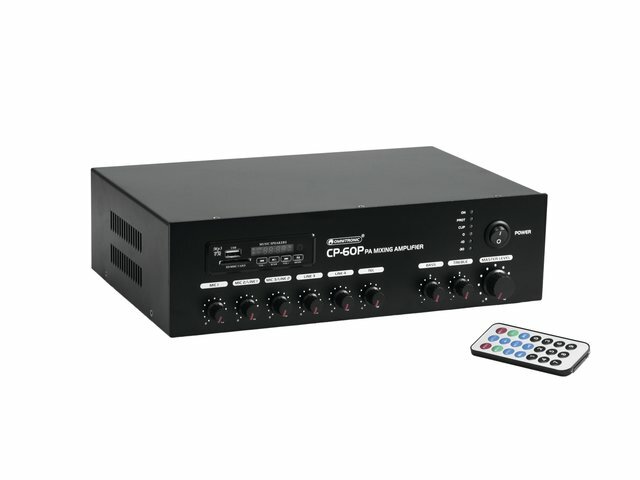 An IR remote control is included for convenient control of the audio player.